If you have spent any time on the streets of Memphis, Tennessee, you have almost certainly seen a green and white MATA bus whizzing by. MATA is the Memphis Area Transit Authority—the public transportation system for Memphis. MATA carries about 8 million passengers per year. In addition to 150 buses, the Memphis Area Transit Authority operates vintage and modernized trolley cars as well as paratransit vans. 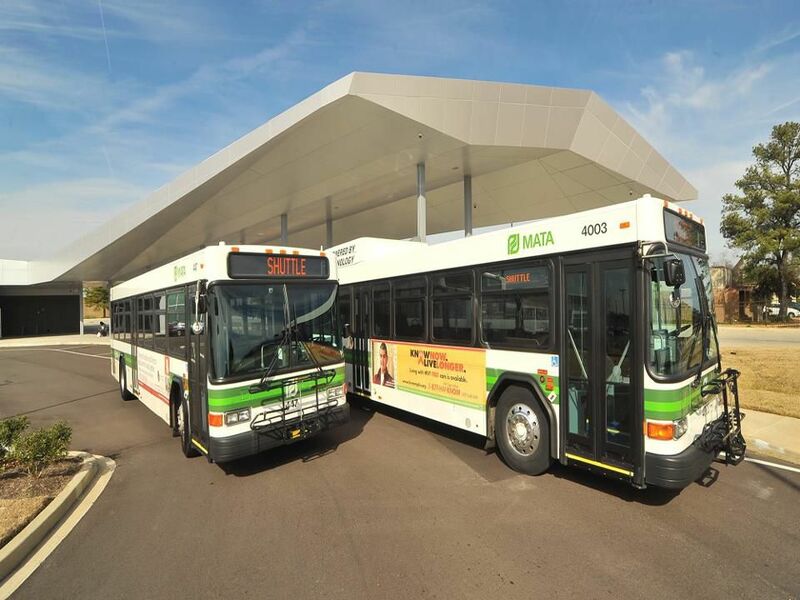 MATA transports nearly eight million riders a year over 319 miles throughout Memphis, other parts of Shelby County, and the city of West Memphis. If you are visiting the city and want to save some money and forego a car rental or taxicabs, then you could use the MATA to get around. The MATA can get you to major tourist points like Graceland, Sun Studios, Shelby Farms Park, STAX Museum, the Memphis Botanic Garden, the Memphis Children's Museum, Liberty Bowl Stadium, and the University of Memphis. MATA also operates a shuttle to Memphis International Airport. There are a number of bus lines great for sightseeing. MATA is a money saver. It is definitely the least expensive way to get around the Memphis area. As of 2019, one-way bus fare is $1.75 for adults, $1.35 for students, and 85 cents for senior citizens and people with disabilities. Generally speaking, mass transit is also better for the environment. A high ridership means fewer individual cars on the road, and that translates to fewer car emissions and greenhouse gases that can contribute to high ozone days. Another benefit with MATA is if you have a mobile device handy, you can see where your bus is on its route. Much like using car services that have this GPS pinpointing system, you can know with more accuracy how long you will need to wait for the bus. Cost savings and environmental advantages aside, there are a couple of disadvantages to using public transportation. And, this is not exclusive to MATA, this is pretty much the same around the country if you use public transportation. The hours, routes, and frequency are not exactly where you want them and when you want them. MATA only runs during certain hours of the day. Depending upon the route, a typical bus will run from about 5 a.m. until 11 p.m. or midnight, Monday through Friday. On the weekends, the hours are even shorter. Then, there is the question of convenience. Although the system is vast—MATA buses run on 33 routes with 4,500 possible bus stops—unless you live near a major street, you may have to walk quite a distance to get to the nearest bus stop. Likewise, your destination may not be as close to your drop-off point as you would like. After a four-year hiatus from 2014 to 2018, MATA resumed operation of the Main Street line of the vintage rail trolley system. It had been undergoing overhaul and repairs. Three vintage trolleys (some as old as 100 years old) were the first to come back into service. The refurbishment of the Main Street line cost up to $10 million to restore. The Riverfront trolley line is expected to reopen by the third or fourth quarter of 2019, and the Madison line should be ready by early 2020. From May to October, the Shelby County Health Department issues air quality alerts when air quality is deemed unhealthy for sensitive groups. Forecasts can range from green (good quality) to maroon (hazardous quality) according to the air quality index. Once air quality has reached orange or higher, it is deemed unhealthy for people with lung disease, older adults, and children. During Ozone Alerts, the public should seek to stay indoors as much as possible, shorten commutes by car, use carpools, or use public transportation. To encourage people to take public transportation during ozone alerts, MATA and the Shelby County Health Department sponsor Ozone Day alerts, which drop base fares to 25 cents on fixed-route buses, trolleys, and MATAplus (the paratransit system for people with disabilities). Ozone Days are generally forecast by 4 p.m. the preceding day. This information can be found on the MATA alert section online, on the MATA Facebook page, or you can call (901) 274-6282 for an update. MATA started a Saturday route, 47, to Shelby Farms Park in 2018. The bus travels round-trip from downtown to Shelby Farms Park to Agricenter International on Saturdays from 9 a.m. to 6 p.m. Located in East Memphis, Shelby Farms Park sits on 4,500 acres and is one of the largest urban parks in the U.S. It offers more than 40 miles of trails, both paved and unpaved, that are popular for walking, biking, running, and hiking. Among other amenities, the park also features canoeing, horseback riding, fishing, activities for children, and free exercise classes. Agricenter International offers a farmer’s market with fresh produce for sale.